Spread a thin layer of cool whip in a 9x13 pan just to coat the bottom. Layer 5 graham crackers across the center of pan, then 2 more breaking them as needed to fit around the top and bottom edges. 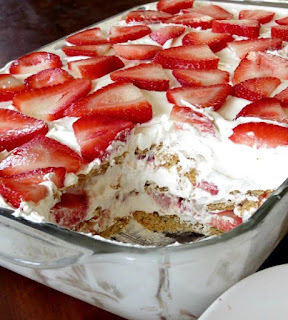 Spread a thick layer of cool whip ( just use the remaining cool whip from the first step) over grahams and top with a hearty layer of sliced strawberries. 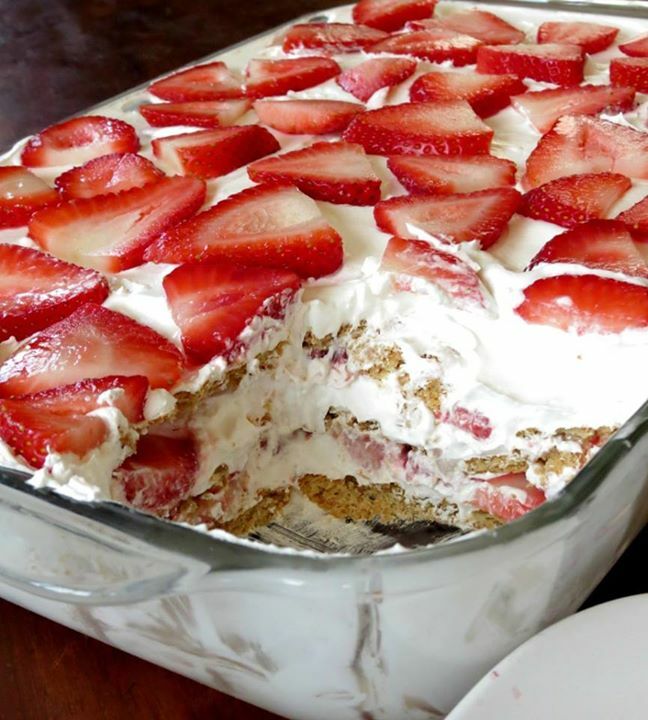 Place graham crackers on top of strawberries, then cool whip, then strawberries. Repeat the layers 1 more time (3 times total) and you should reach the top of the pan. I used 3 layers of each + the first thin layer of cool whip. You will finish with a layer of sliced strawberries.